Ron Currie is the author of the novels Everything Matters! and Flimsy Little Plastic Miracles and the short story collection God Is Dead, which was the winner of the New York Public Library’s Young Lions Award. Currie received the Addison M. Metcalf Award from the American Academy of Arts and Letters. His books have been translated into fifteen languages. He lives in Portland, Maine. "Nobody writing today walks the knife edge of cynicism and sentiment more bravely, intelligently and confidently than Ron Currie. 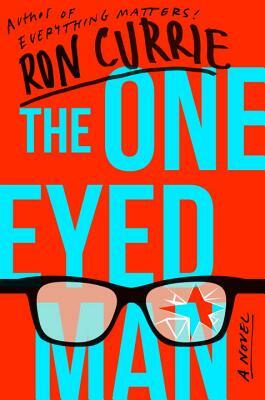 By turns hilarious and heartfelt, The One-Eyed Man is a revelation, a wonder." "The One-Eyed Man delivers blistering, hilarious social satire and apocalyptic hijinks with the best of them, but what you have after the smoke clears is a deep, moving novel about love and grief. Ron Currie is a many-eyed and many-hearted wonder." "Dead-on timely satire. Currie is as readable as he is brilliant."